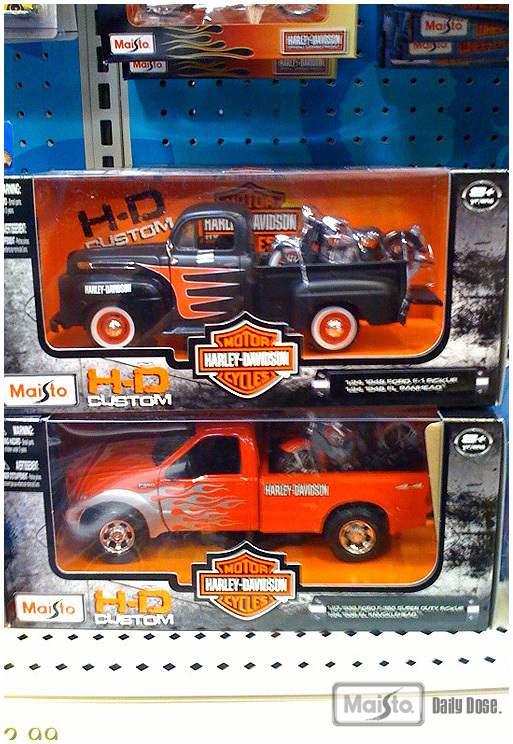 harley-davidson – can we use your graphics and logos, and splash them on ford-die-cast. 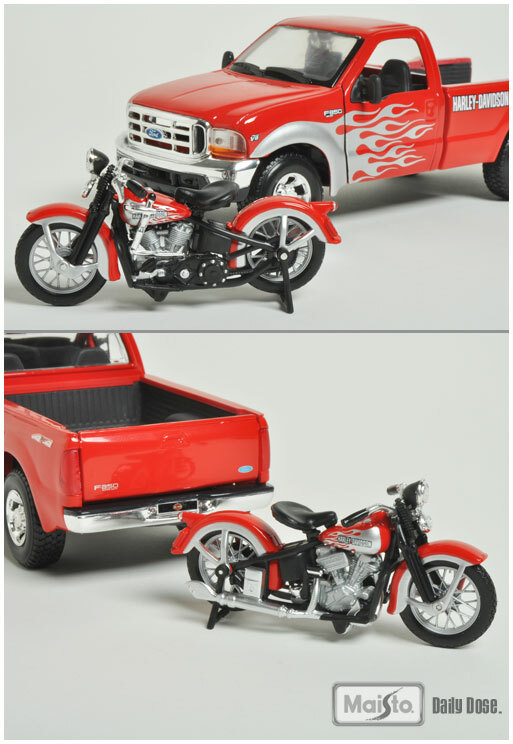 also, can we sell a 1:24 h-d motorcycle with a ford truck? 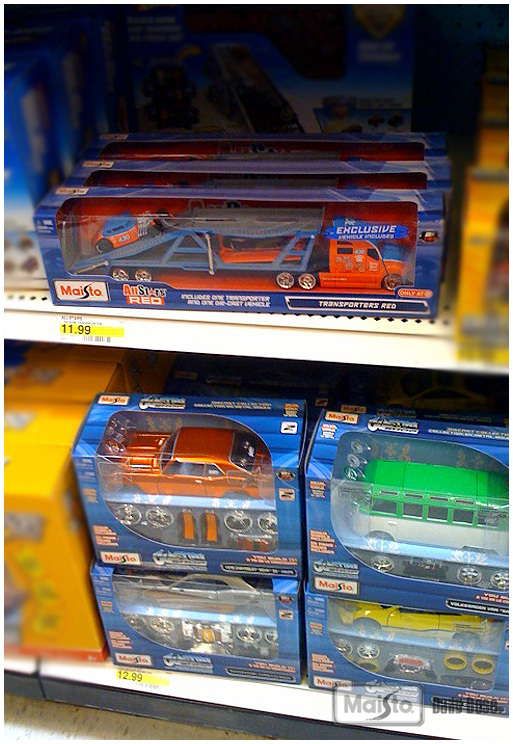 ford – can we use h-d graphics and splash them on replicas of your cars and trucks, and can we sell your trucks with h-d motorcycles? 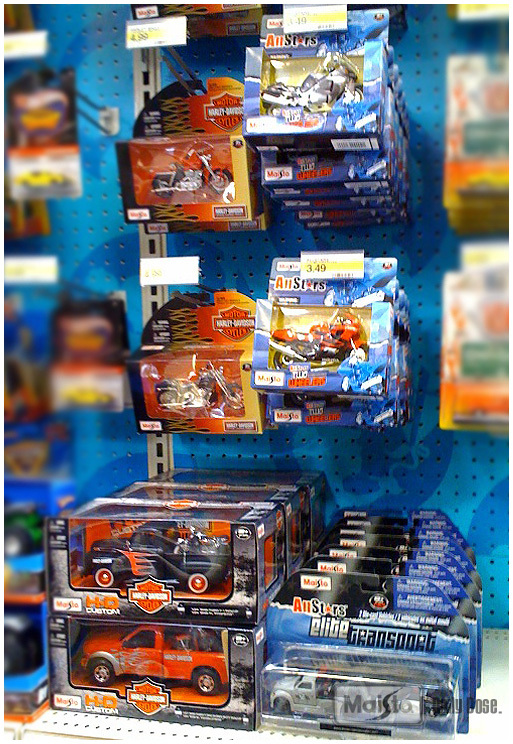 ford was pretty quick about it, h-d took a little longer, but eventually got it, and a little over a year later, these pretty babies will start showing up in your favorite target store, as well as other retailers. We love to see the final product of our hard work, blood (yes, sometimes blood), sweat, and tears (for the softer guys.) 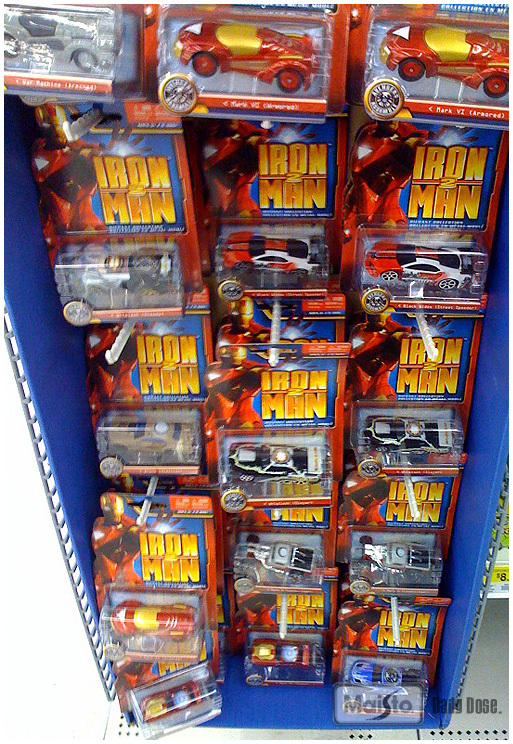 So when we go do a store check (See Rick’s post on last week’s fiasco), we like to see what other products are out there, get inspired, and yes, catch a glimpse of our product out “in the wild” as we like to call it. Here are some shots I took on my iPhone of some recent product that we’ve found. I worked on this stuff, it was pretty fun. Can’t wait to do more. 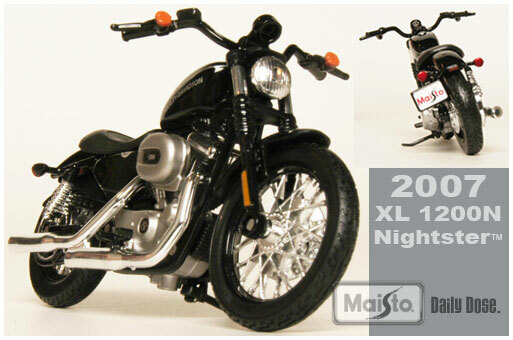 Harley-Davidson® has several Dark Custom versions of their bikes. 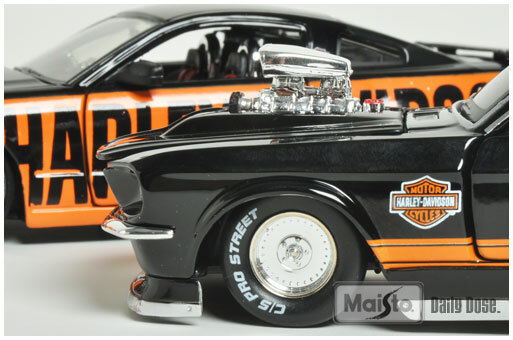 Custom parts, matte paint, special pinstriping and lots of black are on most of the styles. 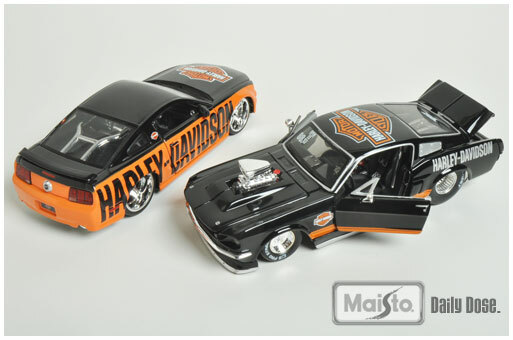 Maisto master craftsman have made the one-of-a-kind 1:18 scale hand samples shown here that will be on display at a Harley dealer show in a few weeks. 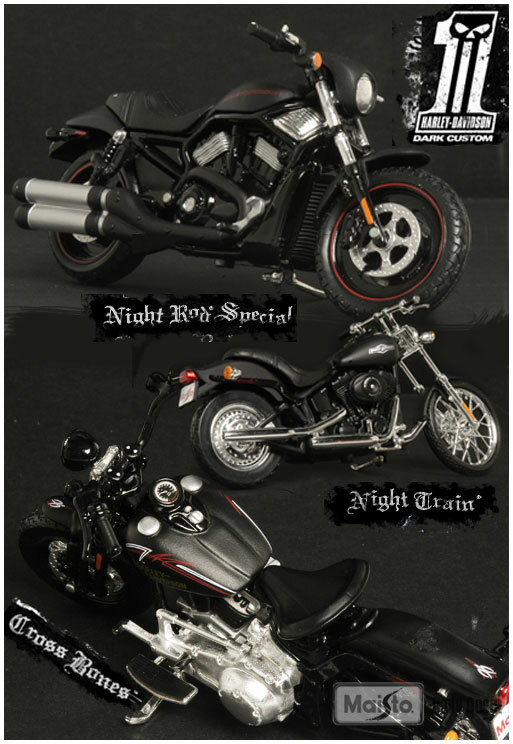 NIght Train: Your mother warned you about the creatures of the dark, but she forgot to mention the drag bar with straight risers and the black cast aluminum monster called the Twin Cam 96 in the Night Train. Cross Bones: Built from blood, sweat and chrome Taken down and stripped bare of everything that doesn’t matter. Dark comes at you a different way. 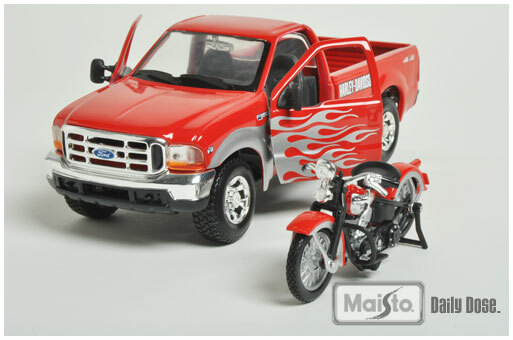 In Series 24, the Maisto 1:18 1952 K Model is all-new too. Resplendent in its Persian Red paint, the K Model was a new lightweight design featuring a 750cc side-valve flathead motor. 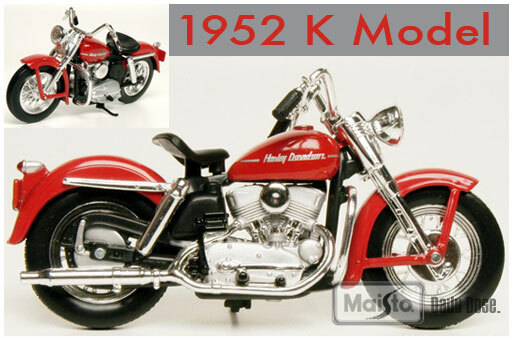 Hydraulic shock absorbers on both wheels were a first for a civilian Harley bike. Years later, the Sportster® evolved from the K Model. 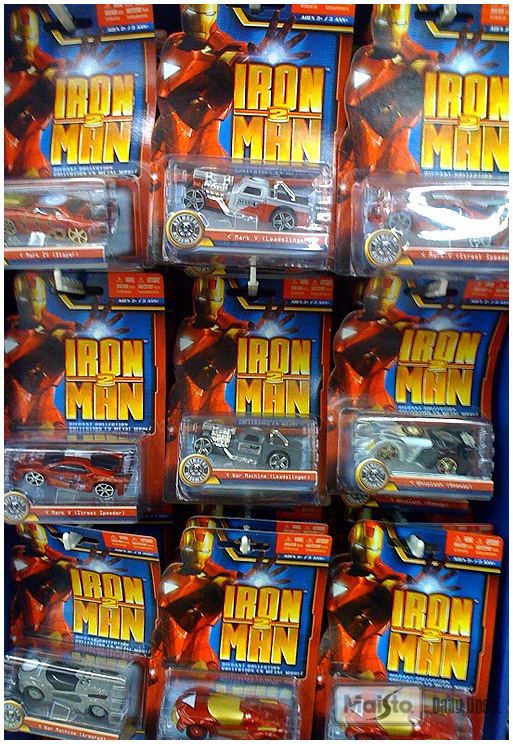 So, ignore the bad news and add these to your collection.